The film industry is achieving big things as this year’s 17th annual Tribeca Film Festival is set to premiere 75 new films. 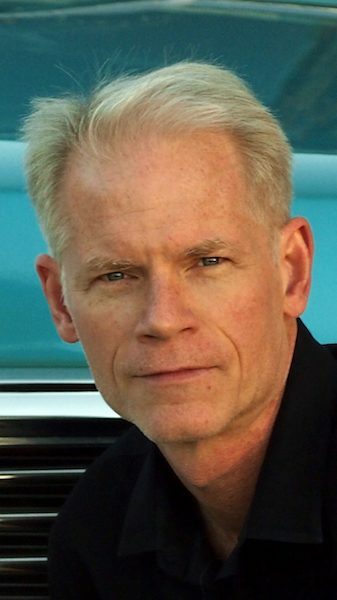 Adam Gussow, University of Mississippi associate professor of English and Southern Studies, is among the stars of the festival and will attend the Friday (April 20) premiere of “Satan & Adam,” a documentary about his longtime blues duo, in New York City. “Satan & Adam” is the story of two emerging musicians who not only found each other, but their passion for blues, on the streets of Harlem. After 23 years of closely following the lives of Gussow and Sterling “Mr. Satan” Magee, filmmaker V. Scott Balcerek has finally finished the story of the acclaimed blues duo. “It’s remarkable,” Gussow said. “I think it’s a film about a lot of things. First, I think it shows the potential of someone who looks old and broken down. It’s obviously about New York and the racial strife of the 1980s and ’90s. Gussow began his musical career when he picked up the harmonica at age 16, and he continued to play through his adolescence and into his college years. As a young white harmonica player, a Princeton graduate and Columbia graduate school dropout, Gussow was driving through the streets of Harlem in 1986 when he found “Satan,” an African-American guitarist and local legend. The two men bonded over their love of music and immediately found their rhythm as a blues duo. They began as street musicians in Harlem in 1986 before taking their talents further as a touring act, playing at clubs across New York, until they were finally “discovered” in 1991. They issued their first album, “Harlem Blues,” which was nominated for a W.C. Handy Award for traditional blues album, in 1991. “Satan & Adam” was initially going to be filmed over the span of a few years, following the duo as they trailblazed their way through the New York music scene. Although Balcerek started filming the musicians in the ’90s, he begins the documentary with original footage of the two men from the mid-’80s, in a moment when New York was rippling with racial tension and musical expression. More than two decades later, Balcerek’s efforts are complete. The Tribeca Film Festival, founded in 2001 by Robert De Niro, Jane Rosenthal and Craig Hatkoff, has evolved into a cultural event that brings together visionaries across industries and diverse audiences. It celebrates the power of storytelling in a variety of forms. As a platform for creative expression, independent filmmaking, and immersive entertainment, Tribeca champions emerging and established voices, discovers award-winning filmmakers and creators, curates innovative experiences, and introduces new technology and ideas through premieres, exhibitions, talks and live performances. This year’s festival runs April 18-29. See https://www.tribecafilm.com/filmguide/satan-adam-2018 for a list of showings.